Before she was two years old, a scarlet fever destroyed Helen Keller's sight and hearing. At seven, alone and withdrawn, she was rescued by Anne Sullivan, her teacher and friend. 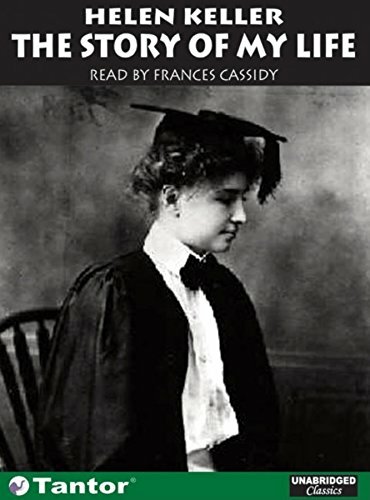 She learned to read (in several different languages) and speak so well that she graduated with honors in 1904 from Radcliffe, where she authored The Story of My Life. In addition to her remarkable accomplishment of overcoming such huge disabilities, her other achievements are impressive in their own right. She published 13 books and numerous articles; she devoted her life to social reform; and she campaigned in 35 countries touching the faces - and hearts - of kings, presidents and movie stars on behalf of the handicapped. Today the foundations she established continue to help the deaf and blind throughout the world. Enthusiastic and untiring, Helen Keller's life is deservedly inspirational and stands before all of us as an example of what we can accomplish, given fortitude and purpose. Most importantly, she demonstrates that the severely disabled have nothing to be ashamed of.